Madley Property are excited to present this breathtaking apartment at one of London's most exciting riverside addresses in the heart of Woolwich. Royal Arsenal is an ever-growing area, gaining huge popularity. Set in a prime location along the River Thames, this apartment incorporates a well designed open plan reception, a fully integrated kitchen built to a high specification, very good size balcony, the master bedroom is spacious and benefits from built-in wardrobe and an en-suite, the second bedroom is also a double and bedrooms open onto a second balcony. 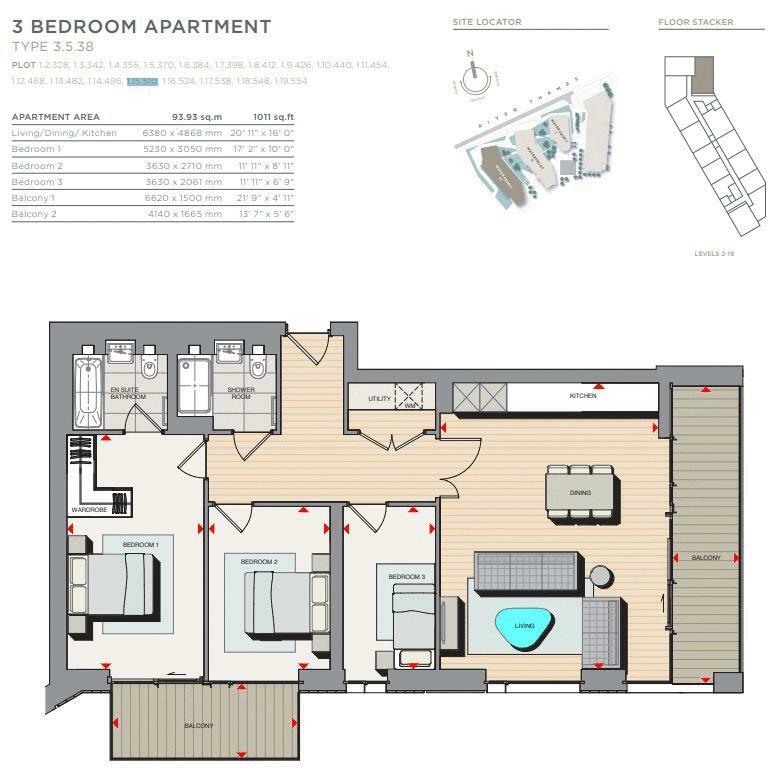 There is a third bedroom, a luxurious family bathroom and plenty of storage throughout. This development benefits from a variety of shops, restaurants and cafes, with an on-site Crossrail station, an on-site Thames Clipper Pier, plus the National Rail and DLR stations are only 300 meters away, Royal Arsenal Riverside is one of the best-connected developments in South East London. Viewings are highly recommended!